Our alumni have gone on to work in professional theatre, film and television, arts education and many other fields. We’re pleased to have alumni return to Hope to share their stories and successes with our current students in workshops, alumni lunches and productions. As a fundraiser, my job revolves around cultivating relationships with our supporters and raising funds for the programs of the theatre. An average day for me usually includes time on the phone helping major donors make their annual gifts or assisting with ticketing needs, writing and preparing mailings, coordinating special events, maintaining database records and analyzing giving patterns, and working closely with apprentices to help train the next generation of arts administrators. In the evening it is not uncommon for me to come back to the theatre to catch up with major donors at intermission or to give a tour of the historic theatre after the show. Walnut Street Theatre was founded in 1809 and is America’s oldest theatre, so there is plenty of American theatre history to learn myself and share with donors. 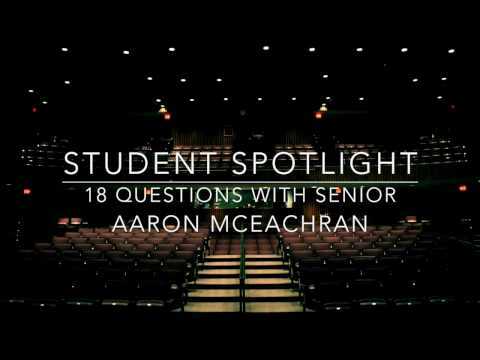 How has your Theatre Major impacted you outside of college? My theatre background is the reason that I have the life I do. My degree made me a prime candidate for internship and apprentice programs, sparked my interest in all kinds of performance and gave me the knowledge to become a successful fundraiser for arts organizations. Aside from the professional impact, my participation in theatre has given me some of my best friends, is the reason I live in Philadelphia and it is even how I met my husband. 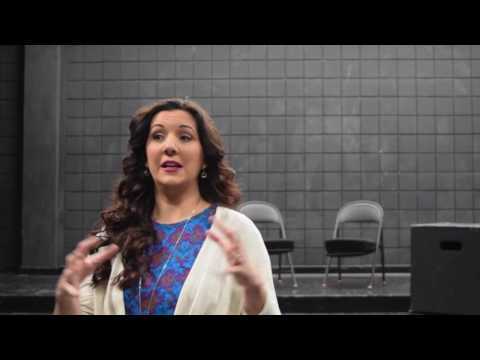 What was your involvement with Hope College theatre? I was a recipient of the Distinguished Artist Award for Theatre scholarship which meant that in order for me to keep my scholarship I needed to be involved in the department. That requirement was never a problem as I ended up majoring in theatre as well as communication, performed in a number of productions, worked on the electrics crew, stage managed and worked as the assistant to the director of theatre. 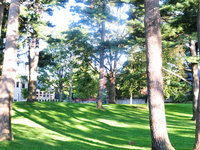 I also spent two summers on campus working at Hope Summer Repertory Theatre. 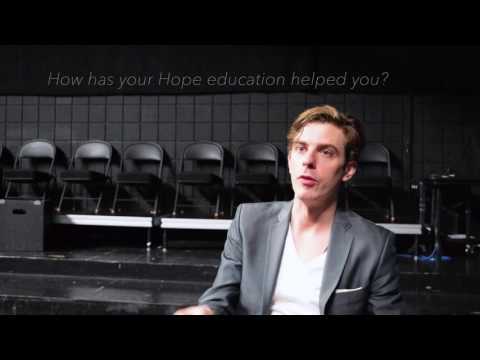 What advice do you have for Hope students pursuing theatre? Always use your connections and never burn your bridges. Without the advice of mentors, teachers and colleagues I never would have secured the internships I did during my time at Hope. Those internships provided me with the support and recommendations I needed as I entered the “real world” and began my career. Now as I mentor young theatre professionals in my office, I am happy to be a connection for them as they seek their next step. You may be surprised to find how small and interconnected the theatre community across the country is… so make sure to never burn a bridge. You never know which connection could help you land that next gig. What is your favorite Theatre Department Tradition? One of my favorite department traditions is our semi-choreographed rendition of Rusted Root’s “Send Me On My Way.” This tradition of circling up, reaching to the sky, singing your heart out and kicking up your heels before collapsing into one another’s arms is a tradition that holds a special place in my heart. Over the years as I have attended weddings of other Hope Theatre alumni, I always looked forward to that time in the night when a few notes would bring us all running to the center of the dance floor. This past spring at my own wedding, I was able to take my place in the center of that crazy love-filled circle and feel an overwhelming amount of support from my lifelong friends. Anything else for current students? Enjoy your time at Hope and look me up if you ever come out to Philadelphia! alum with news? Share it with us! Let us know what you‘re up to after graduation by emailing Reagan in the theatre office.